15 yard RORO is the smallest of the “Roll On Roll Off” containers that PAL Hire offer and is mainly used for industrial jobs. We offer a range of 15-yard ROROs for hire. From open top to closed top for more hazardous waste (example asbestos), we have your waste disposal needs covered. 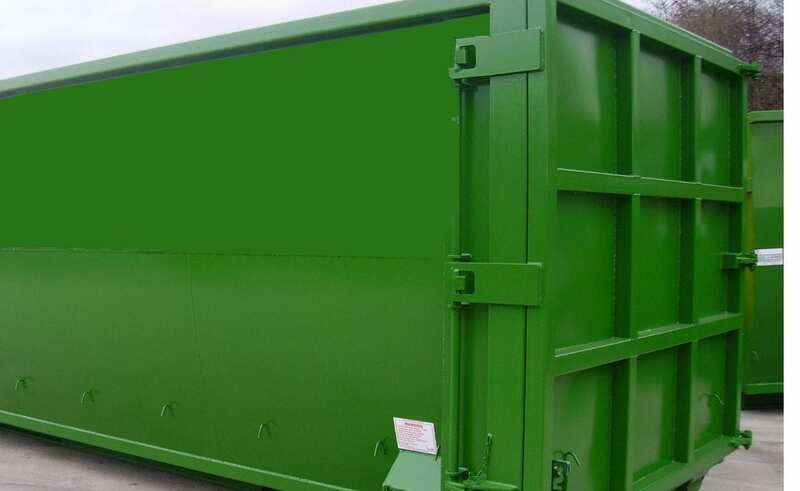 These skips are perfect for very large Industrial, Commercial Projects where there is a huge amount of waste which requires to be disposed off safely. Get in touch with PAL Hire today and find out how you can save money and reduce down-time. Use the guide below to help you decide which size skip is best for your requirements. Customer find the 15 yard RORO can be used for large amounts of varied waste, such as factory waste, packaging waste and recyclables such as cardboard, paper, wood, metal and plastics. This is ideal for intermediate trade and commercial waste services. Normally with our dedicated waste exchange services. Speak to one of our team to find out how we can manage your waste. These containers are also the largest size available for inert waste. ROROs offer economies of scale in waste management and recycling solutions. This is a core hire waste item. Available for hire with next day delivery. Subject to terms, availability and delivery location. RORO containers must not be overloaded; waste must not exceed the top of the walls of the container. The following cannot be put into a RORO container: food waste, computer monitors, televisions, full paint cans, aerosols, gas canisters, tyres, fridges or freezers, plasterboard or asbestos. Fires should never be started in a RORO container. Please do not attempt to move a RORO container from the position it was dropped off at. Please ensure the position of the RORO container is clear from any obstruction. If you are unsure of what size to go for, it is generally a better idea to go for the larger size as it is very dangerous to overload a RORO container and you will always find extra waste to go into it! Allow room all around the RORO so that the vehicle can easily pick it up when it comes to emptying. Private land is required to place the RORO containers as they cannot be placed on roads or driveways.